Few militants have been suspected of fleeing with five guns snatched from security men guarding a TV tower in Anantnag District of Jammu and Kashmir. The Police spokesperson said on Monday that the armed men barged into the guardroom of the tower. They overpowered the security and snatched the weapons before fleeing. Sources said, “Senior officers from police reached the spot to assess the situation,” adding “A hunt has been launched to nab the suspected rebels”. 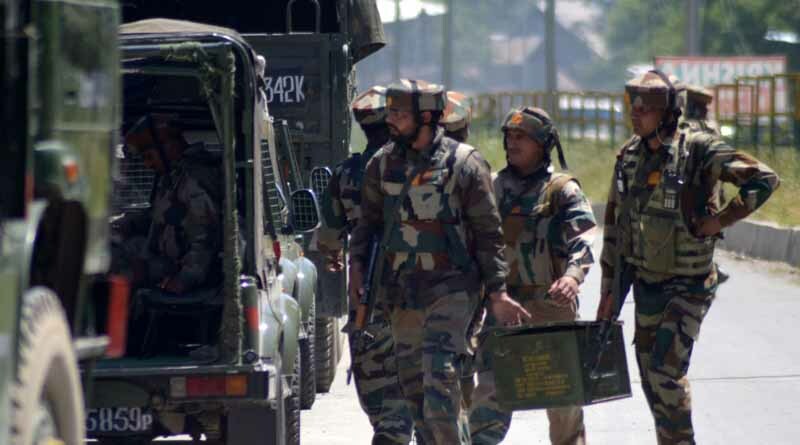 Sources tell that at least 22 weapons have been snatched from policemen in the month of September and October, mostly in the districts of Shopian, Kulgam, Anantnag, and Pulwama. The men snatched one Insas and carbine rifle each, and three self-loading rifles. The tower police guards were taken into custody. ← Delhi court says, fake degree case filed to Harass Smriti Irani ← Karva Chauth: What, when, How and why?